Are My Batteries Good for Another Season? It’s that time of year again, we are starting to see more activity at the marinas and the winter covers are coming off. One of the most commonly asked questions we hear at the beginning of the boating season is “are my batteries good for another year?” They may look fine but how can you tell? How long do batteries really last? 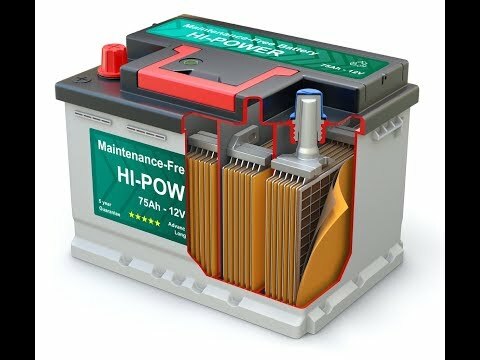 If you have deep-cycle flooded batteries, battery life is based mostly on two factors, maintenance and how deeply you discharge your batteries. On the maintenance front, if you are committed to topping up the batteries regularly, especially when you are frequently discharging and charging them, your batteries will last longer. It is also important to clean the terminals to ensure that each battery is used to its full potential. How deeply you discharge your batteries directly correlates to how many battery cycles you can expect from them. For instance, if you completely discharge your deep-cycle batteries every time you use them you can expect to get only 50 cycles. 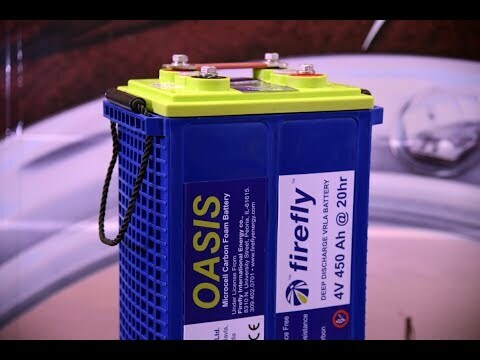 For better battery life, it is advisable to keep your maximum depth of discharge to 50 percent, by doing so you will get 300 cycles from those batteries. 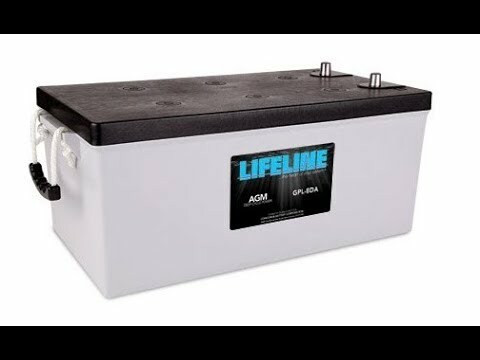 Basically, deep cycle flooded batteries can give you a good life if you don’t work them extremely hard every time. On a side-note, measuring the depth of discharge without a battery monitor is quite difficult and why we encourage boaters to have a battery monitor on their house batteries. Without a battery monitor, some boaters use voltage as indication of capacity. Battery voltage is an indication of battery capacity only after a 24-hour period of no charge or discharge. Unfortunately this pre-requisite is almost impossible to meet on a boat that is using the house batteries to run house loads. Therefore, battery voltage while boating is at best a very crude indication of battery capacity. For the average boater who properly maintains their deep-cycle flooded batteries but doesn’t have a battery monitor to properly limit the depth of discharge, we commonly see battery life of about five years. By properly limiting depth of discharge, we see a battery life of seven to nine years. 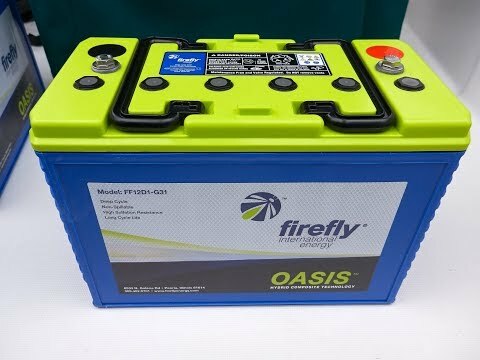 AGM batteries will typically provide 450 cycles if the depth of discharge is not brought lower then 50 percent. Because AGM batteries don’t require any topping off, they are especially useful to boaters that don’t top off the fluids regularly on their flooded deep-cycle batteries. So, what should you look for? The most common sign that a battery is no longer in its prime is corrosion on the posts or a physical deformity of the battery. This will appear as bulging on the sides of a flooded battery or doming on the base of the positive post of an AGM battery. Recently we tested some engine batteries, and saw that the cabling directly connected to the battery positive and the surrounding cables had become black. A shorted cell inside the battery had caused it to fail but the boat owner had still tried to start the engine, causing the cables to get really hot and discoloured. The battery was also very hot and didn’t cool for some time. It was apparent that this battery was in bad shape and needed to be replaced. 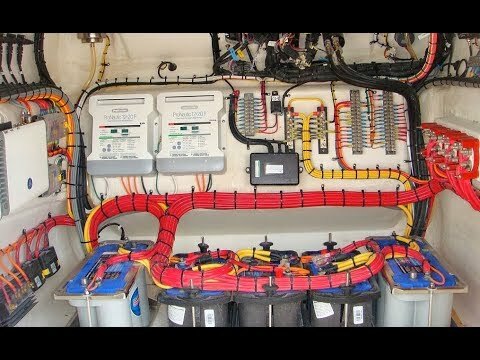 If you are using your boat for the first time in a while, check your batteries quickly to see how they are doing. Another common cause for a battery to fail prematurely is overcharging or undercharging. It is important that you choose the correct charger for your battery, we recommend a smart three-stage charger. These smart chargers detect voltage and resistance from the battery prior to charging and determine which stage to charge, either bulk, absorption or float. They can be left for months at a time and will reliably monitor the state of your batteries. Sizing of battery charger to a battery bank is important. At the very least, you should want a battery charger that is 10 percent of the deep-cycle battery bank capacity. So, what happens if one battery in the bank is showing signs of wear but the rest do not? As a general rule of thumb, if the entire battery bank is less than one year old then you can replace one single battery. However, if the battery bank is older than one year with signs of wear then you should replace the entire battery bank. It is a case of throwing good money after bad because the lower performing battery will bring down the performance of the entire battery bank. We always recommend writing the installation date of brand new batteries directly on the battery. 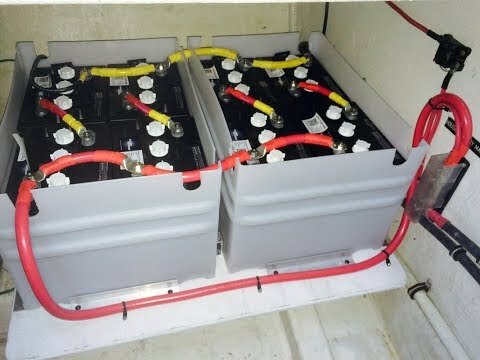 Quite often boaters think that the battery bank is two or three years old but when they find the receipt or check the logbook, they realize that the batteries are actually much older. A good way to test a flooded deep-cycle battery is to measure both the specific gravity, using a temperature compensating hydrometer, and the battery voltage using a digital DC voltmeter. For all of these tests, you must first fully charge the battery and then remove the surface charge. Surface charge is a normal result of charging but it causes elevated voltage. To remove the surface charge, create a draw, such as turning on a few lights, to remove about one percent of the battery’s capacity or allow the battery to rest for three to five hours. Hydrometer readings should not vary more than 0.05 between cells. Compare your voltmeter readings to the chart below. A voltage reading of 10.5, typically indicates a shorted cell or battery fault. Remember these values are for a battery temperature of 77ºF or 25ºC. How much should I expect to pay for new batteries? Most of the flooded batteries sold in Canada are made in North America so when the U.S. dollar is strong and the Canadian dollar drops, we pay more. You may have noticed that the price of batteries is higher now than the end of last year, and this is the reason. As with all things marine, there are high-end and low-end alternatives. 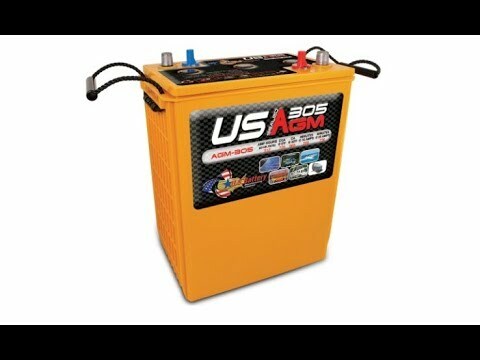 A flooded lead acid golf-cart battery will run around $200 whereas an AGM golf cart battery comes in around $390. How do I get rid of my old batteries? Batteries contain extremely dangerous materials such as nickel, zinc, cadmium and corrosive acids, so they must be recycled. Most municipal transfer stations will accept used batteries. Visit www.metrovancouverrecycles.org for locations. Major retailers of batteries like Battery World, Federal Battery and Polar Battery also offer no-charge recycling. A great resource for information on the use and recycling of lead-acid batteries is the Battery Council International (www.batterycouncil.org).